A new European Union law came into effect on Thursday that abolishes roaming charges for people using mobile phones abroad. The new rules mean that EU citizens traveling within the EU that call, text, and browse the internet on their mobile devices will be charged the same price they pay in their home country. Previously, roaming charges were added to the cost of calls, SMS messages, and web browsing whenever mobile users in the EU traveled to another country and connected to another cellular network. The practice of charging consumers extra while they were abroad gained widespread notoriety because users often ended up having to pay extortionate fees for relatively moderate data usage. "Each time a European citizen crossed an EU border, be it for holidays, work, studies or just for a day, they had to worry about using their mobile phones and a high phone bill from the roaming charges when they came home," said the European Commission in a statement. "The European Union is about bringing people together and making their lives easier. The end of roaming charges is a true European success story. Eliminating roaming charges is one of the greatest and most tangible successes of the EU," the statement added. 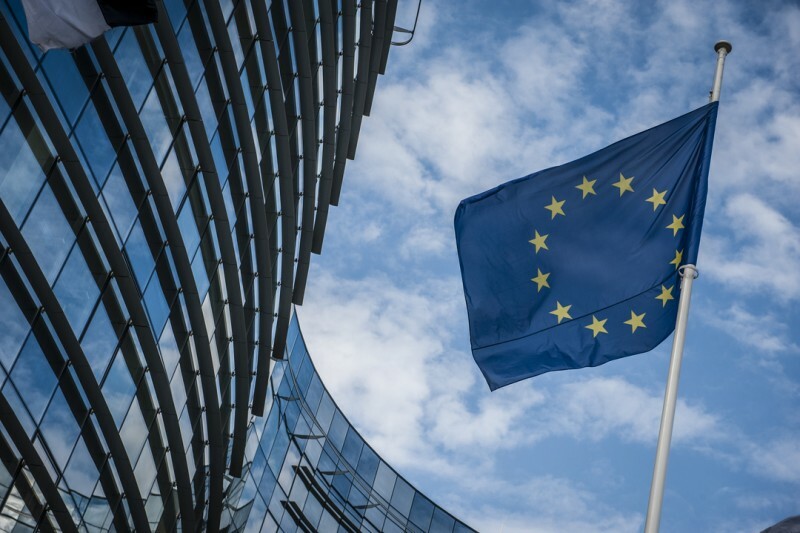 The EU has been negotiating with mobile networks for nearly 10 years to come to an agreement regarding the legislation, following repeated warnings from networks that the law could mean higher tariffs at home. That outcome appears to have been avoided, however. "The EU has managed to find the right balance between the end of roaming charges and the need to keep domestic mobile packages competitive and attractive," continued the statement. "Operators have had 2 years to prepare for the end of roaming charges, and we are confident that they will seize the opportunities the new rules bring to the benefit of their customers." Despite the new law, consumer watchdog Which? told the BBC that mobile users need to be aware that if they exceed contract data allowances while traveling within the EU they will still be charged, just as they would be in their own country. Also, the law only applies to travelers, so calling another EU country from home will still incur additional charges. Update: Some readers are reporting that mobile carriers in certain EU countries have already raised their plan prices, although it's still unclear if this is a direct result of the legislation that came into effect today. I'm italian. We recently got a sort of gay-marriage law only after years of pressure from the EU, treating us like stupid kids... because we actually are stupid kids who need help. It's full of decent laws, from phone companies regulation to civil rights, we can enjoy becuse the EU. And most italians are mad at the EU because they don't allow us to let immigrants die in the mediterranean sea. I don't know if I want to live here. (Sorry for the long, not-so-related post). In this day and age this should be applicable to countries all over the world. Roaming charges are a big scam and an easy way to make extra money. About time. Hopefully carrier in countries also outside of EU will enter similar agreements. Yeah because paying £350 million a WEEK to an unelected organisation just so that they could overrule our own government and constantly tell us what to do was so great. Wasn't it.. But yay for cheaper roaming guys. Just yay..
Errm, the European Parliament which passes the laws is elected. Plus there isn't a single law on the UK Statute book that hasn't been passed by our Parliament. As a person who lives 5 minutes away from the border, this is a godsend. Fine example of why sector regulations are necessary. I know this must hurt the eyes of many Americans, but it's the truth. For many years, the EU telecom sector charged ridiculous fees when using mobile phones abroad. And I mean ridiculous: calling: 3-5 euro/minute - SMS: 1-3 euro/message - data: 1-10 euro/MB.... Mind you: some EU-countries are very small, so you're easily subjected to these fees. Not to mention those that live near a border and automatically connect to the foreign tower without realising. For years the telecom sector lobbied its pants off to avoid these regulations, but they're finally here. Thanks to the EU. Small government is not always what it's cracked up to be. And the free market will NOT always do the right thing out of the goodness of their hearts. They do need a push in the right direction. And it's funny how they now spin this story to their customers: "The end of roaming charges is finally here!" To be fair, roaming does incur extra costs and the consumer who uses a service that costs more to provide should pay for those costs. The scam is in the exaggerated prices that consumers had to pay until recently. Edit: Now prices will go up and everybody will have to pay more, regardless of whether they use this extra service or not. Which is probably why the politicians agreed on this one, they get everybody to subsidise their higher-than-average roaming consumption, these politicians travel a lot. Don't feel too bad for the EU telecom sector. They're doing really well given their ridiculous fees. And as an EU citizen I'm very happy with this new regulation. Not only politicians travel, maybe you should give it a go as well. You might like it. "Mobile Roaming Charges Abolished in the EU"
As an eu citizen myself it should be no surprise that I'm quite happy with this news. For 'just' €26 euro's (about $30,-) a month I get unlimited time calling anyone throughout whole of the EU and unlimited data speed (4G where available) as well. It doesn't matter if I'm in France or Spain or some other country within the EU, I can safely talk for hours with my mom in Holland or establish a FaceTime connection without any extra cost and the other way around since my mom has the same account. That (!!) is the way it should be globally i.m.h.o. I expect that the prizes will even go lower in the future and that these kind of data / calling bundles will be globally integrated. To bad England is leaving the EU, that's why I'm not sure this ruling will also count for England in two years time. Just like Switzerland which isn't member of the EU. I really want another referendum on Brexit.. I'm sure the outcome would be different a second time round. I KNOW HOW YOU FEEL, BUT... That's not how democracy works! Maybe you would like another general election too? or are you ok with that result? perhaps we should keep on having referendums or general elections until YOU get what YOU want. And how about when the England football team loose another football match, shall we insist on a rematch after rematch until we win?? I know it's hard and it's not what I voted for, but we have to accept it and move on and make the best of the situation and stop crying over spilt milk.